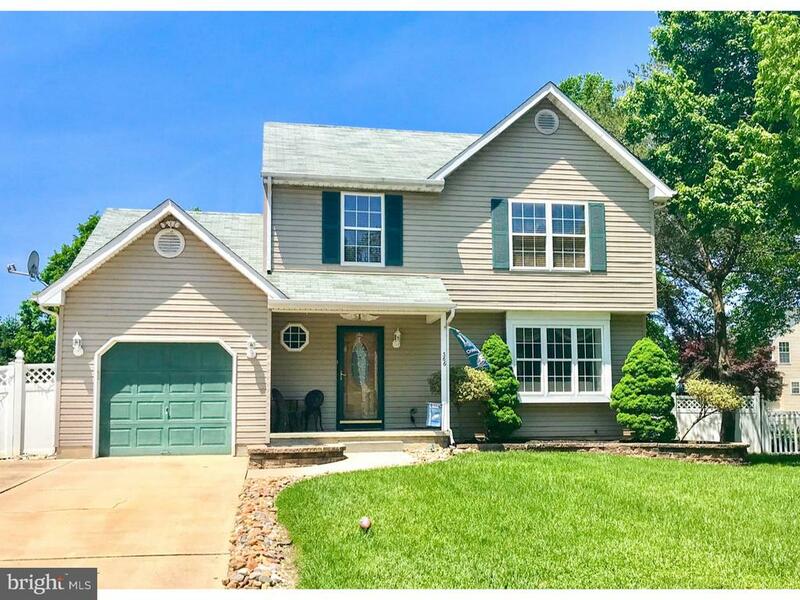 All Monroe Twp homes currently listed for sale in Monroe Twp as of 04/20/2019 are shown below. You can change the search criteria at any time by pressing the 'Change Search' button below. If you have any questions or you would like more information about any Monroe Twp homes for sale or other Monroe Twp real estate, please contact us and one of our knowledgeable Monroe Twp REALTORS® would be pleased to assist you. 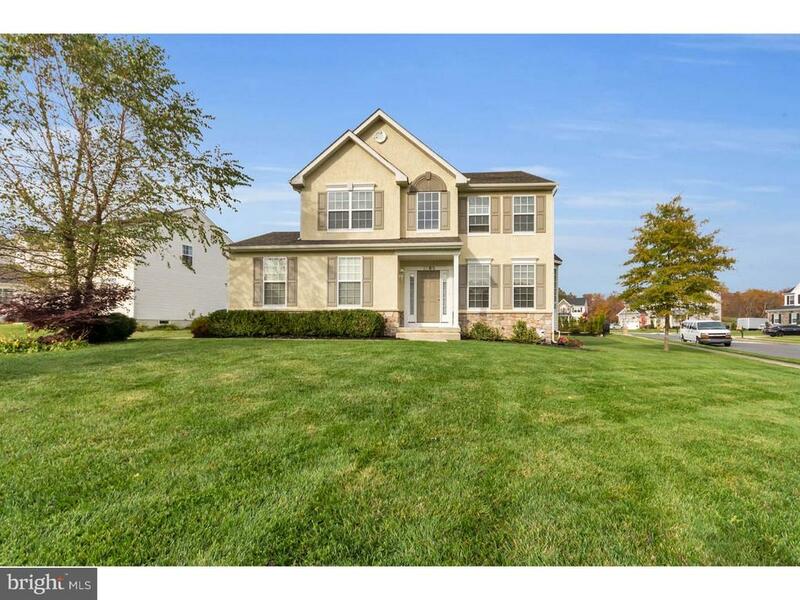 "Elegant 4 bed/ 4.5 bath home on a quiet cul-de-sac in pastoral Monroe. Luxurious hardwood floors and exquisite woodworking welcome you as you enter the grand 2-story foyer with princess staircase. These highlights continue through the first floor. Detailed wainscoting and double crown molding adorn the living room. The wainscoting continues in the formal dining area with tray ceiling and crown molding. From enter the magnificently appointed kitchen with Bosch stainless appliances, expansive center island with pendant lighting, granite counters, pantry, desk area and gleaming porcelain floors. From here step into the gorgeous 2-story family room with hardwood floor, wood burning fireplace and back staircase to the second floor. The first floor also features a private office with French doors and tray ceiling. On the second floor you find the double door entrance to the plush master suite complete with sitting area, double crown molding, 2 WIC and a master bath with separate toilets, 2 sinks, Jacuzzi, and sit-in shower. 3 additional bedrooms, each with their own bath complete the second floor living space. The home sits on a professionally landscaped ~ acre of property adjoining preserved farmland. Make this fairy tale home your ~happy ever after~!" 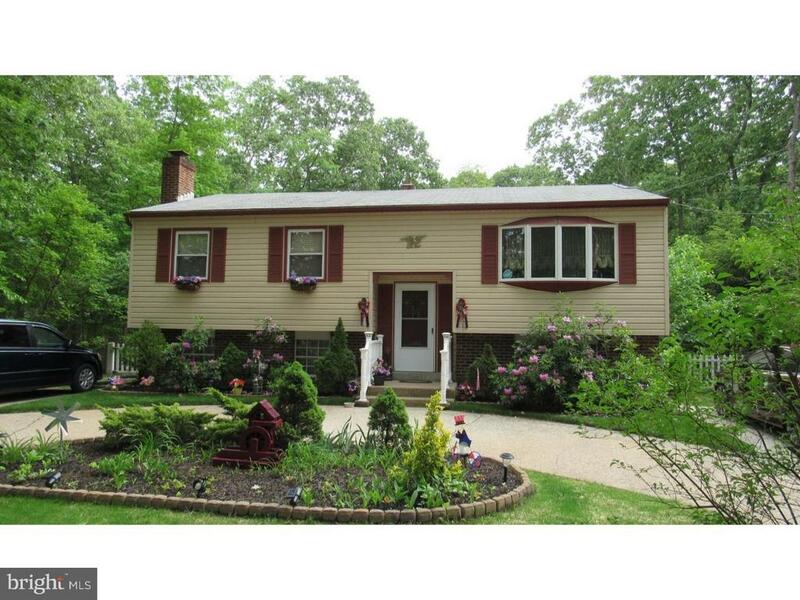 "Welcome to 491 Spotswood Gravel Hill Rd! 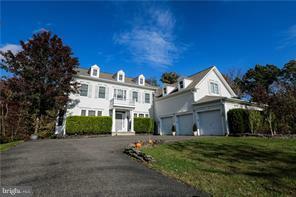 This Magnificent Colonial is set on a Beautiful Lot in the Desirable Woods at Monroe Community. With a Spacious, Open Floor Plan, an Extraordinary amount of Upgrades, Special Touches, Exquisite Moldings and Beautiful Decor Throughout, this Stunning Home is a Wonderful Blend of Sophistication and Comfort - Perfect for Today's Living. Featuring Gleaming Hardwood Floors; a Dramatic Two Story Grand Entrance Hall with a Sweeping Floating Staircase; Elegant Formal Living & Dining Rooms; Gourmet Kitchen with Cherry Cabinets, Stainless Steel Appliances, and Granite Countertops; a Delightful, Sunny, Breakfast Room; a Dramatic Two-Story Windowed and Extended Family Room that flows from the Kitchen and features a Gas Fireplace with Custom Mantel & Surround; Main Floor Guest Bedroom/Au Pair Suite with Full Bathroom; a Discreet Private Study; a Convenient Powder Room and Laundry Room complete the First Floor. Upstairs is just as Impressive with a Huge Master Bedroom Suite with Sitting Room and Luxurious Bathroom with Jacuzzi Tub and Oversized Shower; Three More Well-Appointed Bedrooms, One with Private Bath and Two sharing a further Full Bath. The Lower Level features additional Living Space with a Full Walk-out Basement with room for Media, Exercise, Recreation & Play. Other Features include: A Three Car Side Entry Garage, Three Zone HVAC & Humidifiers; Recessed Lighting Throughout; Surround Sound Speakers in both Family Room & Living Room; Central Vacuum; All Bedroom Closets have Built in Custom Shelving. A Truly Exceptional Home. Close to Schools, Major Highways, Shopping and Restaurants." "Modern, majestic and magnificent this expanded, brick front Driftwood model, with an open floor plan is a newer home and offers all the up to date amenities one seeks in new construction without all the hassle or extra cost. This refined 5 bed, 4 bath home sits on a premium lot on a cul de sac in much sought after Southfield Estates. Enter into this luxurious home and enjoy the myriad of upgrades that are truly of the highest quality. The cathedral 2 story entrance offers a tiered chandelier, palladium window and gleaming hardwood flooring. Extensive architectural detailing including tray ceilings and French doors are evident throughout the house. A spacious sundrenched Living room and exquisite formal dining rooms are great for entertaining. At the heart of the home a gourmet kitchen with a large center island, gorgeous custom cabinets, upgraded lighting, double pantry, stainless steel appliance package and a beautiful sunroom/breakfast area that overlooks the resort style backyard encompassing a sparkling salt water pool. Enjoy the breathtaking view while relaxing by the cozy fireplace in the inviting Family room. The side conservatory features a wall of windows and offers many functions, a private office, music room, second family room or even a separate guest, in law, or au pair suite since there is also a renovated bath. The main level includes another office/library/5th bed with another full bath. Upstairs the enviable Master suite pampers you with an en suite soaking tub, custom shower, double vanities, huge walk in closet, 2 sitting rooms, one with a dramatic tray ceiling and a double sided fireplace. Three more large bedrooms and another sparkling full bath complete the second floor. The entire home has been freshly painted is the latest colors , upgraded recessed lighting and brand new carpet upstairs. It~s a vacation every day at the refreshing pool with a trex deck and stunning paver patio and mature line of trees and shrubs for added privacy." "Welcome to 20 Grano Street! This Exquisite Augusta model is situated on a stunning lot in the Exclusive Woods at Monroe. Meticulously Maintained and Updated with a Spacious, Open Floor Plan, an Extraordinary amount of Upgrades, Special Touches, and Beautiful Decor Throughout. A Wonderful Blend of Sophistication and Comfort - Perfect for Today's Living. Featuring: Gleaming Hardwood Floors; a Dramatic Two-Story Entrance Hall with Crystal Chandelier; Elegant Formal Living and Dining Rooms with Crown Molding & Chair Rail; Gourmet Kitchen with Upgraded 42 Cabinets, Ceramic Tile Flooring, Granite Counters, Center Island, Tiled Backsplash, Stainless Steel Appliances, and Pantry; a Delightful, Sunny, Breakfast Room with Sliding Doors to the Backyard; a Generous Family Room that flows from the Kitchen with Vaulted Ceilings, a Gas Fireplace with Custom Mantel and Surround and a Back Staircase to the Upper Level; a Private Study with French Doors and Bay Window; a Stunning Conservatory with Plantation Shutters; a Convenient Powder Room and Laundry Room complete the Main Floor. Upstairs is just as Impressive, boasting a Luxurious Master Bedroom Suite with Tray Ceiling, Sitting Area and Walk-In Closet; Lavish Master Bathroom with Soaking Tub, Glass Shower Enclosure, and Double Vanity; Three more well-appointed Bedrooms; and a Full Hallway Bathroom with Tub/Shower and Double Vanity. Step Outside on to the Extensive Trex Deck overlooking the Backyard with Sweeping Lawns and Woods - The Ideal Place to Relax, Entertain or Play. Other features include: High Ceilings, Security System, 3 Zone HVAC, Sprinkler System, Full Basement, Three Car Side-Entry Garage and More! Minutes to Major Highways, Schools, Shopping, and Restaurants." 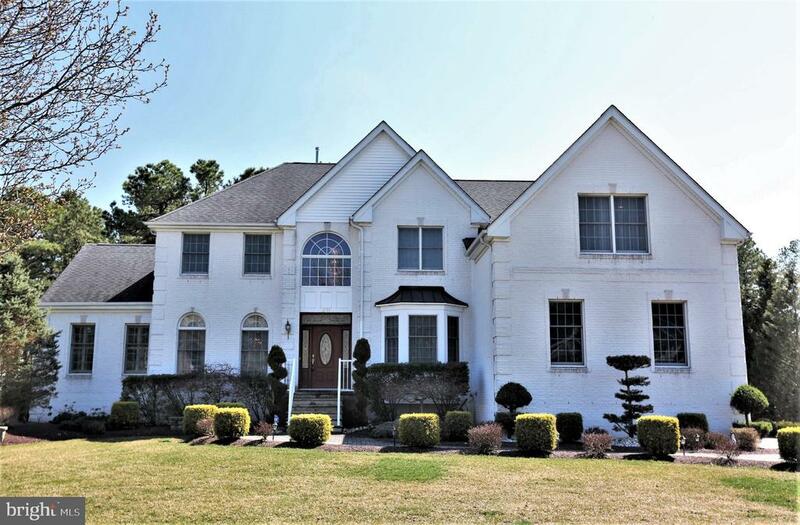 "THIS MAGNIFICENT CUSTOM COLONIAL LOCATED IN THE ESTATES WITH A FINISHED SUITE IN BASEMENT INCLUDES A FULL BATH/KITCHEN/2BEDROOMS/2NDLAUNDRY ROOM/FULL NATURAL LIGHT. HOME INCLUDES A FLORIDA ROOM LARGE OFFICE, LUXURIOUS MASTER SUITE W/SITTING ROOM/MASTER BATH WALK IN CLOSETS AND VANITY. NEW A/C UNIT AND HIGH CAPACITY WATER HEATER. HOME ALSO HAS A FULL BACK UP GENERATOR, 2 LAUNDRY ROOMS, MOTORIZED CHANDELIER IN MAIN FOYER, SPRINKLER SYSTEM, SECURITY SYSTEM, UV SANITIZER OR HEATING SYSTEM AND HEPA FILTERS ON ALL DUCTS. SO MANY EXTRA'S`. 5 LARGE BEDROOMS 4 FULL BATHS AND 1 HALF BATH. LARGE EAT-IN KITCHEN AND FORMAL DINING ROOM. HAS SO MANY ADD-ON'S NOT ENOUGH SPACE TO COVER ALL OF THEM. A TRULY MUST SEE HOME." 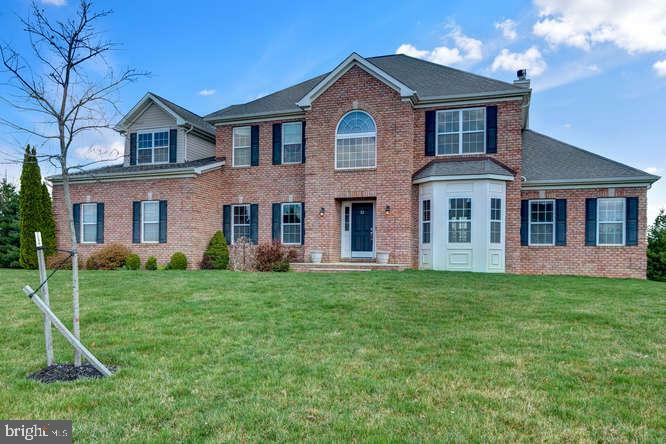 "Picture yourself in this impeccable, bright and spacious, 5BR, 4.5 bath custom colonial in move-in condition! Two story family room with wood burning fireplace. Ceiling fans in bedrooms and family room. Huge eat-in kitchen with center island & breakfast bar, Corian countertops, 42 cabinets and double oven plus microwave. Living room with bay window and a formal Dining room with tray ceiling. Crown/neck moldings & chair rails. Hardwood floor throughout the main level. Huge master bedroom with double tray ceiling, sitting area and two walk-in closets. Luxurious Master bath has soaking tub and dressing area. Main floor has full bath attached to a bedroom and a powder room. Maintenance-free deck. Vinyl clad Anderson windows. First floor and basement have 9 ft ceilings. Carpeted basement. Two zone comfort system and an air filter. Sprinkler system. Security system. Two car oversized garage. Paved walkway and beautiful yard." "Extremely attractive 5 bedroom, 2.5 bath brick front Hampton modal located in the very desirable neighborhood Devonshire. This home has been beautifully updated throughout. Kitchen has newer cabinets & stainless-steel appliances. Family room features new Berber carpet & a marble gas fireplace with glass enclosure. Updated light fixtures throughout. Recessed lighting in the family room, kitchen, living room, dining room & master bedroom. Wood flooring in the living room, dining room & 2nd floor hallway. Updated ceramic tile flooring in the kitchen, baths & foyer. Custom window treatments throughout. Newer water heater (1-year-old) 2nd floor pull down attic stairs with lots of attic storage space. Master bedroom with full bath w/ jacuzzi & Corian counter tops. Full basement. Trex deck and professional landscaping. Conveniently located near schools, shopping, restaurants & more!" 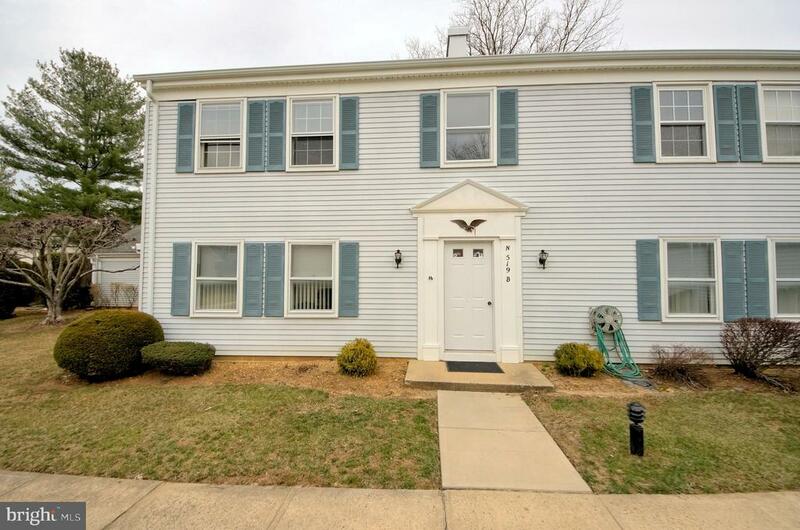 "Lovely colonial with many upgrades in desirable Monroe Manor. This home has completely been renovated with new carpeting throughout, new fixtures and freshly painted throughout. Step inside and you are welcomed by the openess and brightness of the two story foyer and the new glass front door which adds an added dimension to the entry. There is a dining room and a living room and the family room has a gas burning fireplace with a new wood mantle. The spacious eat-in kitchen has a center island, granite countertops, upgraded cabinets, stainless appliances and ceramic tiles. The upper floor has 4 bedrooms and ample closet space. There is a balcony to the entry foyer and a large arch window to the back yard which floods the entire home with so much brightness There is also a full basement which could be finished for additional recreation space and a two car attached garage. The complex offers a newer recreation center with pool, tennis courts and a club house. Centrally located and near all main arteries, this home has so much to offer and it is in move-in condition. Don't miss this!" "Don't Miss this Very Popular Wellington Ranch Home in Renaissance, an Active Adult 55+ Gated Community. This Wonderful Home features 3 Bedrooms as the Office/Bedroom #3 was built with an Extra Closet. This Light and Bright Home has so much to offer...Hardwood Flooring in the Entry, Living Room, Dining Room and Hallways, Vaulted Family Room with Ceiling Fan is Adjacent to the the Kitchen and Breakfast Room, Kitchen with 42 Cabinetry with Crown Moldings and Newer Stainless Steel Appliances, Pantry and Desk Area, Patio with Gas Grill with Gas Line, Master Bedroom with Walk in Closet and En-suite Full Bath featuring a soaking Tub, Stall Shower with Seat and Dual Sinks and so much more. Wonderful Clubhouse and Amenities." "Rt 33 east to Morning Glory or Butcher Rd to Jessica to Morning Glory. 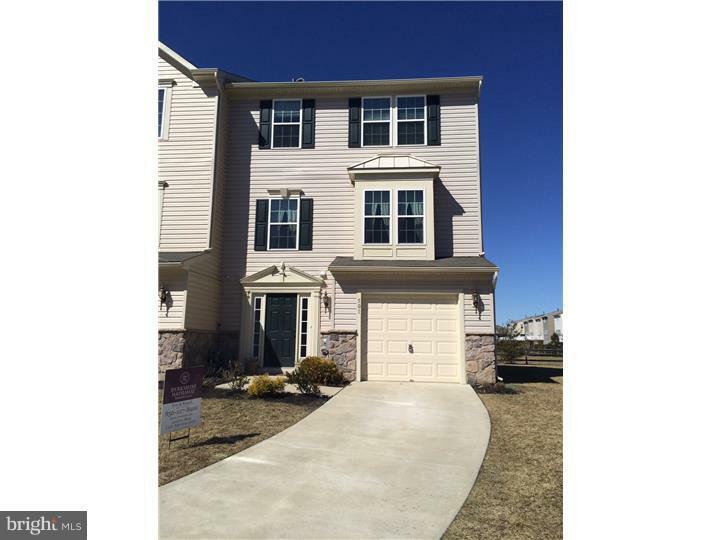 Beautiful condition townhome!! Private location, sit back and relax on the covered patio. Home features 3 bedrooms 2.5 baths upgraded kitchen w/granite formal dining/master suite with wic private bath with tub/ laundry upstairs/ amenities include pool,clubhouse,tennis,basketball,playground close to NYC bus shoppingRmrks 2:2 years left on the 10 year builders homeowners warranty More photos coming soon!" "A LOT FOR THE PRICE: IN-LAW SUITE. These opportunities don't come along very often. 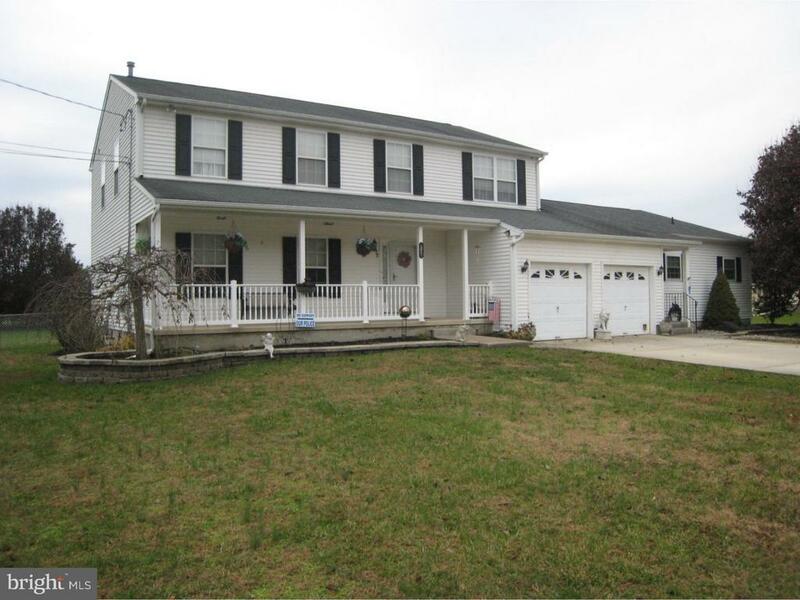 Beautiful and spacious 2 story home with a large attached IN-LAW UNIT. This home sits on almost 1 acre with fencing and a spacious 10'X20' storage building at the rear of the property with its own electric. This home has vinyl siding and a spacious open front porch, a huge concrete driveway with turn-a-round and plenty of room to park several vehicles. The main home has 4 bedrooms, 2.5 baths, living room, dining room, family room with gas fireplace, spacious eat-in kitchen and laundry, six panel doors, newer carpet in living room, wood floors in family room, security system, huge basement with additional crawlspace storage and sliders to a covered patio from the main house and the in-law suite. The IN-LAW unit can be entered from the inside of the main residence or by private exterior entrance. The IN-LAW UNIT has a living room, bedroom, large kitchen and full bath. There are many other unique extras and items that make this property a must see! Sit on the back patio and watch the beautiful sunsets. Don't miss out on taking a look at this property." "WOW!! Welcome to this beautiful home located in Carriage Glen. This home sits on a corner lot overlooking a cul de sac. Once you walk into this home you will be greeted with gorgeous hardwood flooring throughout the lower level, making the floor plan open and flowing. All the rooms are very generous in size. Love the the bright and sunny breakfast room off the kitchen. The gathering room is very spacious with a gas log fireplace to make it cozy on a cold winter night. All bedrooms are a great size. The master suite has it all, walk in closet, trey ceiling, bath with soaking tub and more! Let's not forget the full unfinished basement where there is endless possibilities not to mention endless storage, it even has an additional crawl space." "Timber Lakes Community! This beautiful bi-level home boasts 4 bedrooms, 1.5 baths, family room, living room with bay window, updated kitchen and baths, bonus room off the back of the house for that wonderful jacuzzi. On the lower level, there is a grand 4th bedroom and half bath. The family room is also located on the lower level and boasts a brick floor to ceiling wood burning fireplace. 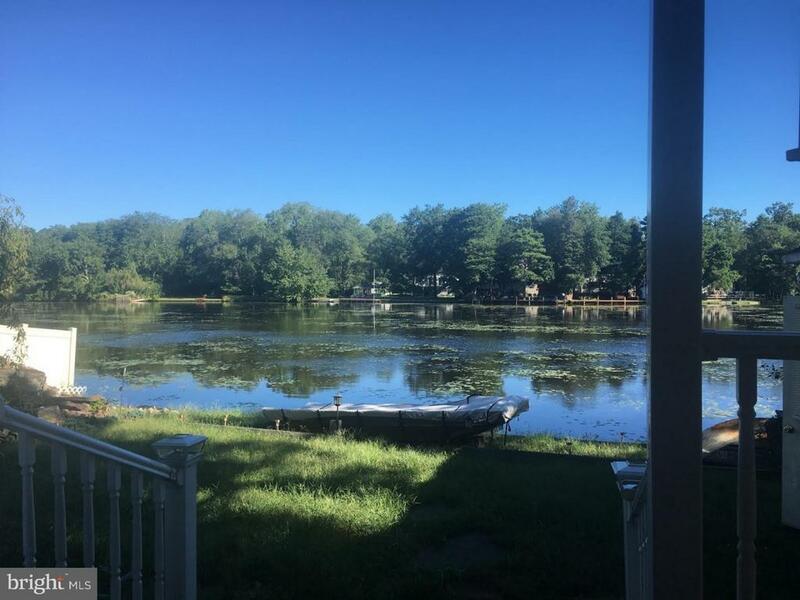 Sitting on a large double lot, this home faces the lake, offers maintenance free siding, newer roof, in-ground pool with diving board and slide, and a detached garage. Cabana for guests and relaxation. Solar panels as an added bonus to help keep heating and cooling energy bills down. 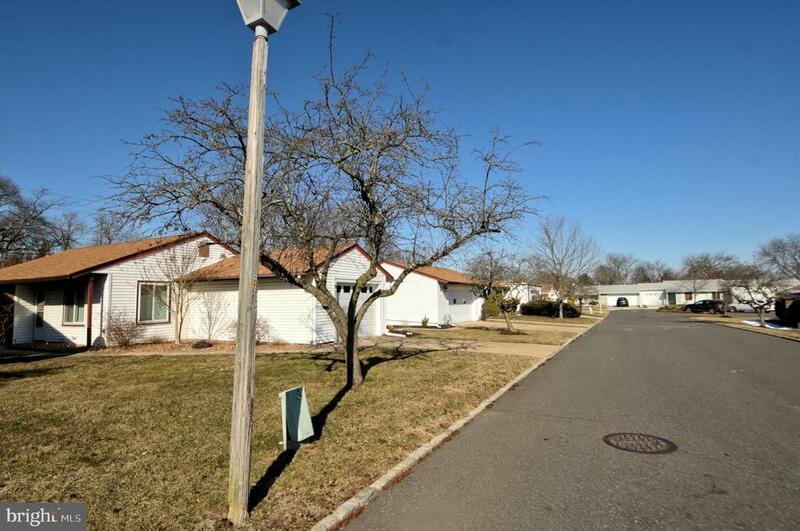 This home is located minutes from the Black Horse Pike and close to several shore towns. The lake is directly across the street. Enjoy canoeing, kayaking, and many neighborhood gatherings. You also enjoy the increased privacy from the lot you will own next to the property. This home is truly a vacation without having to leave your home. Very motivated sellers. Bring all reasonable offers! Selling 'as is'. Buyer responsible for twp CO and all inspections. More pictures to come." 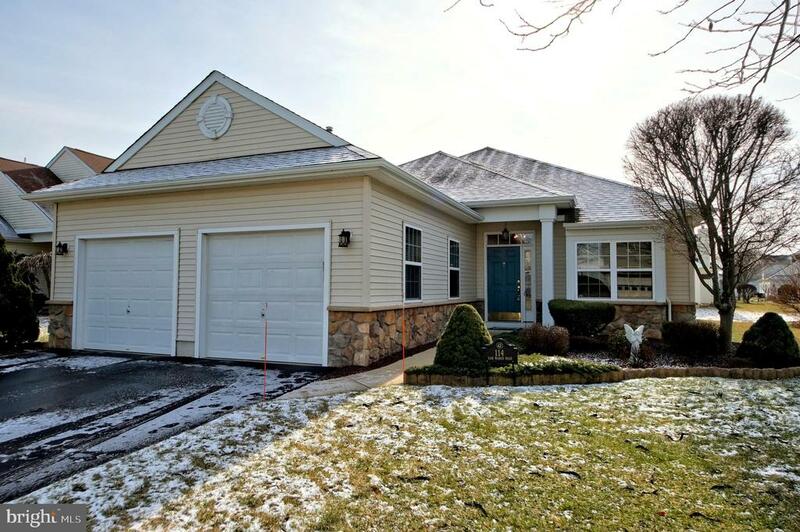 "Charming three bedroom home located in the Villas development of Monroe Township. Conveniently located to all major highways and shopping. Excellent school system. This home is completely decorated in light neutral colors, hardwood floor throughout entire main floor, steps to second floor and second floor. Ceramic tile in the kitchen, breakfast area, powder room, hall to foyer, foyer and main bathroom. Master bedroom is custom painted with access to main bathroom. Two additional bedrooms are freshly painted. Lower level great room with custom bar area designed for wine lovers and champions, excellent room for entertaining. This home has plenty of storage and closet space. Large fenced in back yard with shed, Bocce ball court and custom deck. All light fixtures, ceiling fans and window treatments are included. This home is in move in condition, just waiting for YOU!" "Loads of Potential!!!! 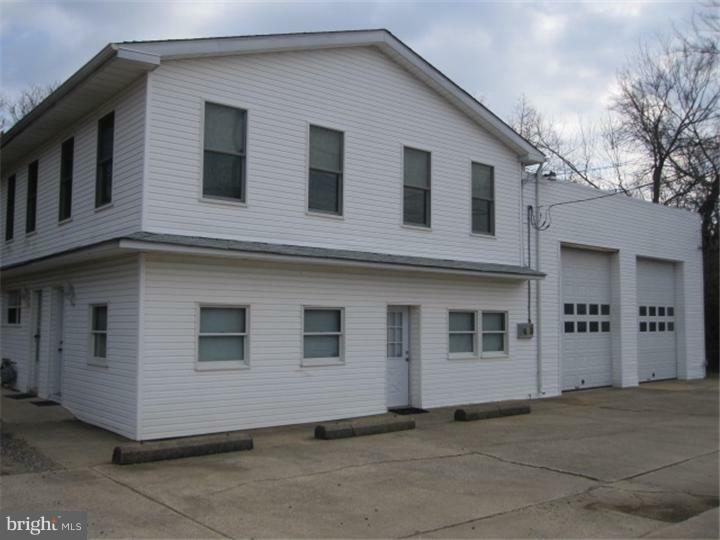 This property was a former repair garage, so you can work and live here!!!! Great Income Producing Opportunity. Now it's recent use is a multi-unit property with (2) 1 bedroom units.... Main home is beautiful and features large eat in kitchen, living room, 2 bedrooms and a bathroom on 1st floor, then the 2nd floor is beautiful with newer windows throughout, high ceilings, 2 large bedrooms, a full bathroom and a gorgeous 23 X 17 family room.....Home also features a full basement!!!!! Then there are 2 (1) bedroom rental properties Both feature a living room and kitchen. Each unit has separate utilities. Also, sits on prime real estate with over 447 ft. of road frontage, and 5.85 acres of land!!!! The garage stalls are extra large with electric and gas!!!! The list goes on and on!!!!!! In great condition but being sold as is because of the GREAT PRICE!!!!! Well (2015)Hot water heater (2015)Septic will be installed!!!!" 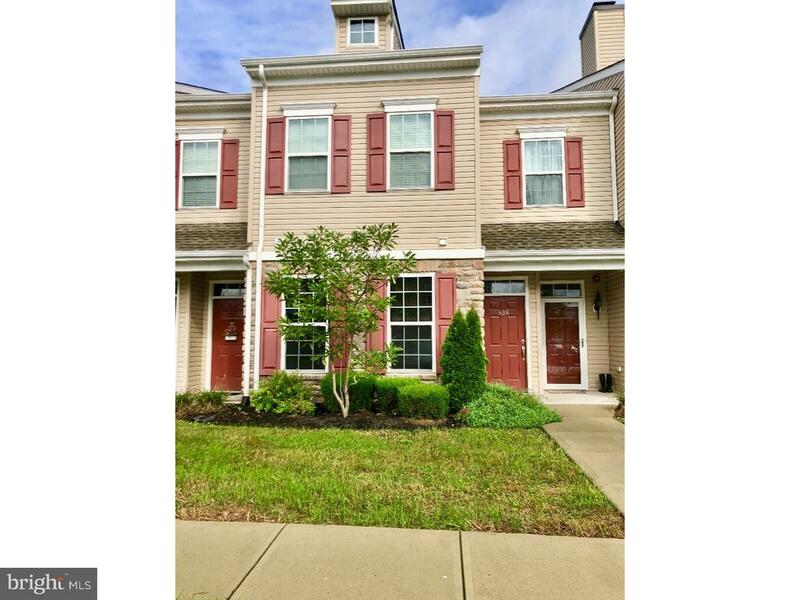 "Located in the Heart of Monroe Township; this stunning end-unit Town home located in the community of Amberleigh is available for IMMEDIATE OCCUPANCY. Minutes away from BHP & The AC Expressway, this 3 Bedroom 2.5 Bath Home has it all! Lower Level features a large den with upgraded flooring and professionally wired built-in surround sound, half bath and large laundry room. Main floor is open and accommodates entertaining with an over-sized living room and dining area. The kitchen offers a large eat-at center island, 42 wood cabinetry, gas stove with overhead microwave hood, stainless steel dual sink and dishwasher. The upper level features all three bedrooms and two full baths. The master suite boasts a large Walk-in closet and en suite with Tile tub and double vanity sink. Second and third bedrooms share the hall bath. There is plenty of natural light in this home that adds to its already excellent energy efficiency. There is plenty of charm in this home and in this community. Make sure you plan a visit to the clubhouse while you're there! With an in ground pool, gym, sitting area, rec room, and play ground, there is plenty to do! All of this is included in the association fee! Schedule your appointment to see your new home today!" "Lake Front Property!!! Here is your chance to live like you are at a resort! There is a breath-taking view of the lake from the covered back deck. Two docks--one to relax, fish, or swim from and one to launch your boat. Plenty of room to entertain on the L-shaped, wraparound deck with 2 ceiling fans which leads to a 6-person Hot Tub covered by an umbrella. Stepping stones take you to the lake and a tranquil waterfall. The yard, which is fenced on 3 sides, has a shed and a detached garage, both with electric. On the 1st floor is a Gigantic Great Room with gas brick Fireplace, Hardwood flooring, updated Kitchen with Hickory Cabinets, a large Pantry/Laundry Room, Living Room with wood burning stove, a bedroom and full bath with stall shower. Upstairs are 2 more bedrooms. The Master Bedroom will WOW you with its size. Master Suite features a fireplace, bathroom with stall shower, whirlpool tub and bidet and is so big you could have a party in it! Newer roof and siding, 2 hot water heaters, 2 separate electric boxes. Home sold in as-is condition but don't worry as it is has been well taken care of. If you love to live like you are on vacation everyday and enjoy entertaining, this is the house you have been looking for! Treat yourself and come take a look!" 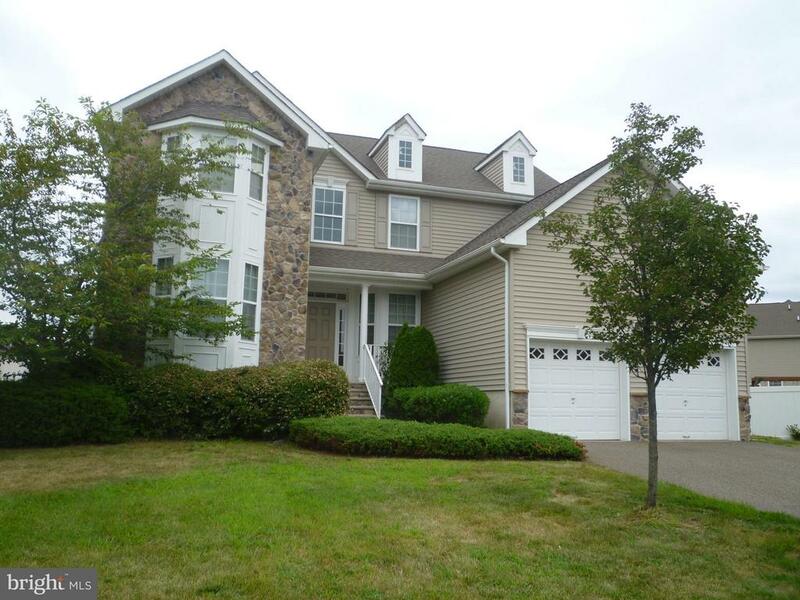 "Welcome Home to this Beautiful (4 yr. old) Move-In Ready, 2 Bedroom 2 Bath second floor condo. This home features a modern Kitchen with 42 cabinets, stainless steel appliance package, breakfast bar with plenty of counter space with adjoining dining Room. You'll find a fresh look with natural light, neutral paint, beautiful wood trim, chair rail, crown molding which all adds elegance and charm to this well maintained home. The master bedroom leads to a full bath with shower, double bowl vanity with a Spacious walk-in closet. The second bedroom has a walk-out patio with sliding glass doors. A laundry room with ample storage area. Here at the Amberleigh at the Arbors Community you will find amenities abound with: In-ground pool, billiard room, fitness room, sitting area with fireplace, banquet room and more! Also includes the Lawn Maintenance and snow removal. Just come home and relax. Contact me today to tour this home before its too late. 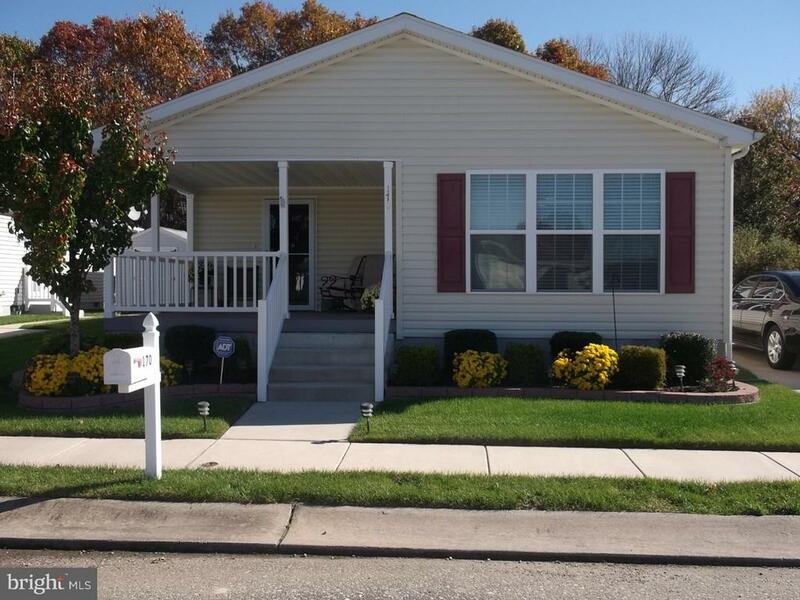 Conveniently located near Route 42 , Atlantic City Expressway, shopping areas, and outlets." "Don't miss this Vermont model home in desirable Rossmoor. This first floor 2 bed/2 bath model is both open and spacious. Large master bedroom features en-suite bath. Dining room leads to oversized 3 seasons sunroom where you can relax and enjoy the tranquil courtyard. Lovingly maintained by owner with newer a/c and refrigerator. Carport only steps away with additional storage. This 55p+community offers resort living with clubhouse, pool, tennis courts, and many additional activities. 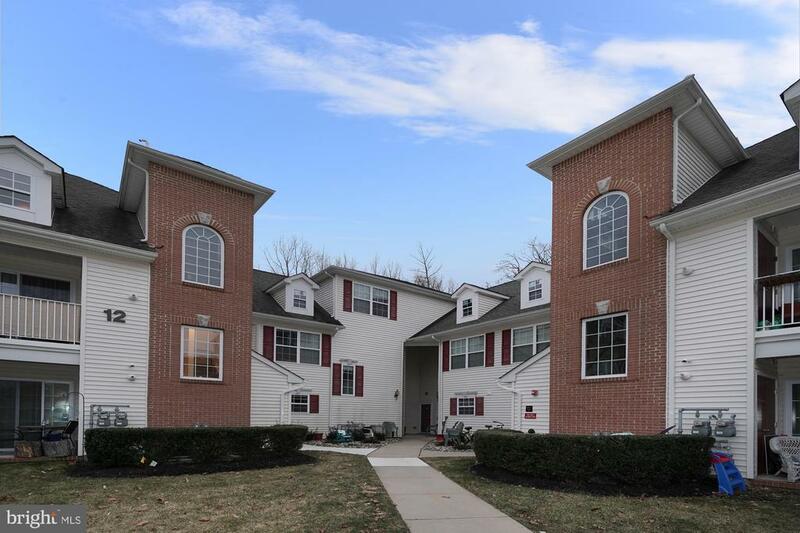 Close proximity to New Jersey turnpike, NYC bus stop, restaurants and stores." 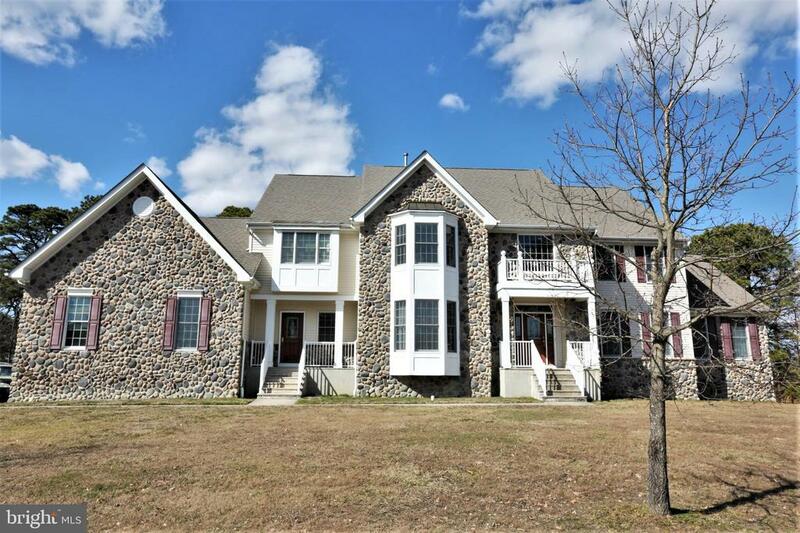 "Welcome to desirable Sunny Estates 55+ Community in Monroe Twp. This home has a spacious interior layout that includes Living Room,Family Room,Formal Dining room, large Kitchen, Laundry/Utility Room, Master bedroom suite with a walk-in closet. The Home Has a Large Front Porch,Storage Shed, and the backs to a Private Wooded Area. Don't wait this one will go fast seller is selling as-is! Lot Fee subject to change."